IV Sedation for Root Canals and Fillings for adult patients. Timberlea Services Centre provides IV Sedation for adult patients requiring sedation to complete their Root Canal and Dental Filling procedures. Contact Our Office to learn more about your options. Root canal treatment is needed when the tooth has experienced trauma that has killed the nerve of the tooth, or when decay has been left untreated and starts to affect the nerve. During a root canal procedure the tooth is anesthetized as normal and the dentist will begin to remove the affected nerve tissue. Sometimes if there is too much inflammation or infection, a root canal is done as a two appointment procedure. The dentist will start to remove the infection and nerve tissue and then place a medicine inside the tooth to help settle it down. This usually sits for 2-5 days and patients are instructed to come back for the second appointment where the root canal is then finished. Once all the canals are cleared of any nerve tissue or infection the dentist will then fill the canals with a rubber material called Gutta Percha. A crown is usually recommended after a root canal because the tooth is very brittle after a root canal procedure and a crown will protect it from cracking. Do I need IV sedation for root canal treatment? IV Sedation is not necessary for a root canal treatment however it is available for patients who are extremely anxious about dental work. A dental filling is when decay is removed from the tooth and then the tooth is filled with a white material back to its original shape. 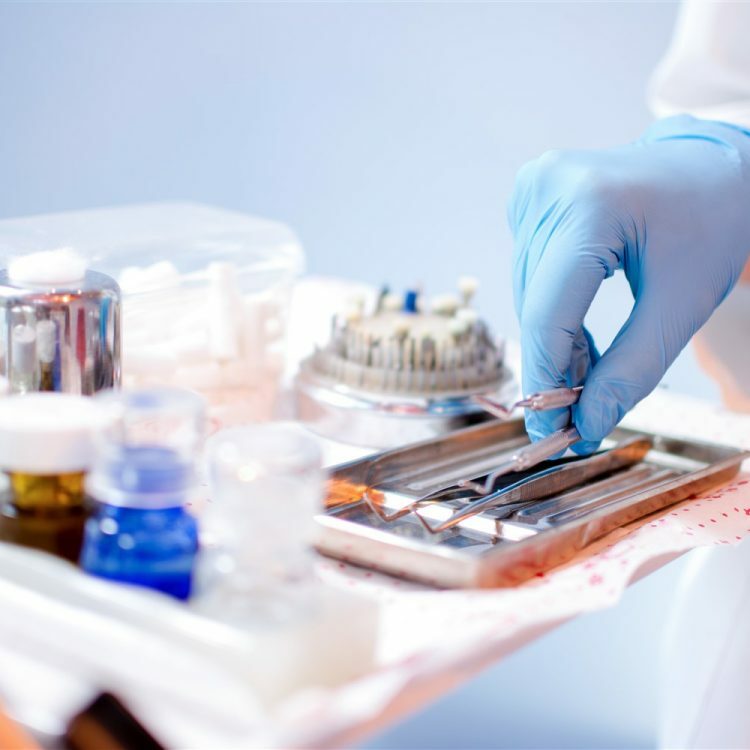 There are different types of filling material and the decision of what type of material is used is based on patient preference, and the extent of the decay and location. When is it indicated to have IV sedation for a dental filling? IV Sedation is most times selected for dental fillings when a patient is extremely anxious of being in the dental chair and if they have an extensive amount of fillings that need to be completed. IV Sedation usually allows the patient to have all the work completed in one appointment rather than coming back for multiple appointments. It is required that a physician clear you to be medically fit for sedation. During consultation you will receive all the required paperwork that needs to be completed. It is also required that the patient be properly fasted and have a person responsible for them during and after the procedure as the patient will be considered legally impaired for 24 hours. There will be a registered nurse monitoring and administering the medication throughout the procedure for the dentist who is trained in IV sedation. Once the procedure is completed all of our patients are recovered for a minimum of 30 minutes, one on one with a registered nurse. The patient will not be discharged until they meet the required criteria.